The fitness industry is on an undeniable tear. In 2014, Entrepreneur magazine singled out the fitness franchise industry as one of the key sectors that showed gains in a sluggish economy. 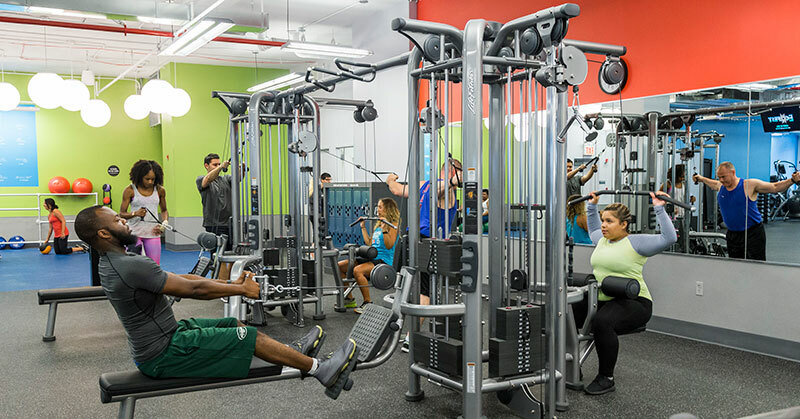 Value speaks volumes, so it’s no surprise that value fitness is the fastest growing fitness segment, and Blink Fitness has carved an unmistakable niche with its highly differentiated brand position. Members are always greeted with enthusiasm and treated with respect. All Blink clubs are painted colors that are proven to have a positive effect on mood and are designed to be open, spacious and bright. They have an “Everyone Cleans” philosophy that ensures their gyms are always spotless. Blink plays music that is specifically selected to keep members energized throughout their workout. Their training programs are designed to be motivating and affordable. Blink Fitness Franchise is seeking single- and multi-unit operators with business, management and/or marketing experience. All franchise candidates should have a commitment to exceptional customer service and experience. Single-unit owners should have a minimum of $500,000 combined liquid assets of all partners and $1.5 million combined net worth. Multi-unit owners should have a minimum of $700,000 combined liquid assets and $3 million combined net worth of all partners.